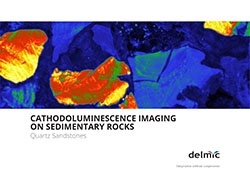 Cathodoluminescence imaging is an ideal tool for studying geological samples and to get additional contrast and spectroscopic information down to the resolution of a scanning electron microscope. 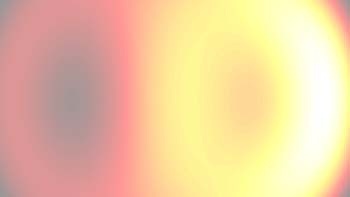 When a sample is bombarded by fast electrons, the material becomes excited and as it returns to a ground state, it luminesces in various colors. The different colors provide clues as to the composition of a sample. 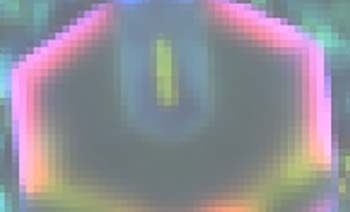 Not only can one gather data at the nanoscale, but the colors produced by cathodoluminescence reveal information that no other optical microscope can obtain. 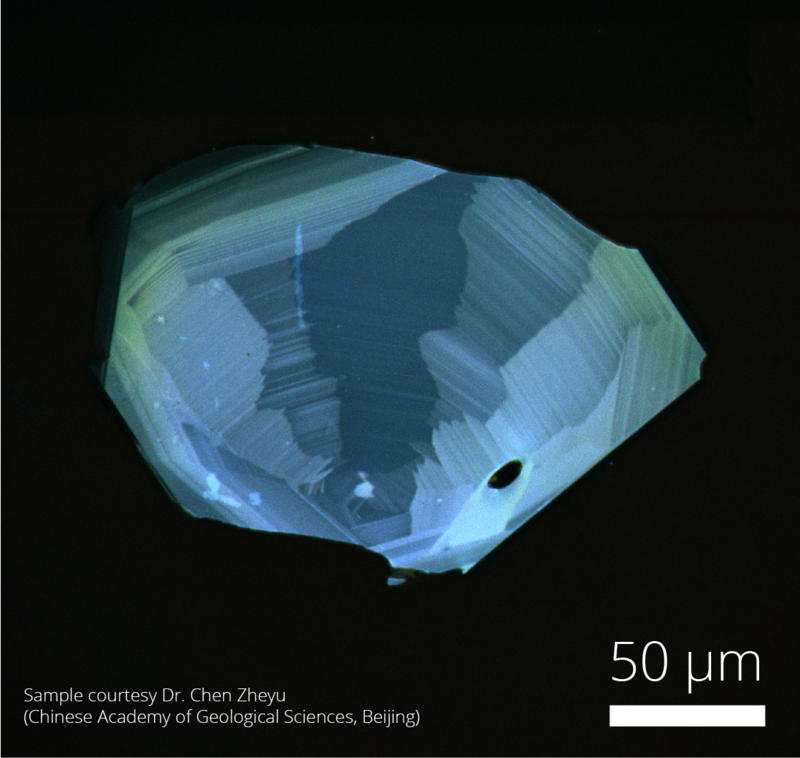 The cathodoluminescence emission from a rock gives insights into crystal growth, zonation, cementation, replacement, deformation, provenance, trace elements, and defect structures. This can be used to fingerprint rocks and reveal interesting spatial textures on a submicron scale. 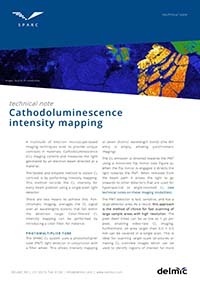 Cathodoluminescence is often combined with other analytical tools such as SIMS, BSE, EDS, WDS and μCT for a more complete understanding of all relevant rock properties. 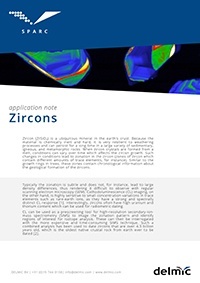 Zircon is a robust mineral which can persist for long periods of time in the earth’s crust. During growth-changing conditions lead to zonation in the crystal which can be visualized with CL. 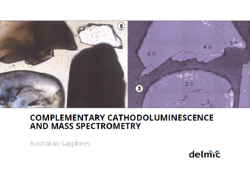 Zircons are often rich in heavy metals and as such are very useful for radiometric dating with advanced mass spectrometry tools. 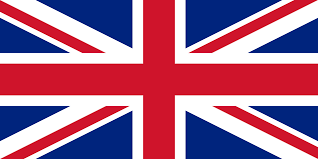 CL is often used as a pre-screening tool for such studies owing to its speed and relatively low cost. 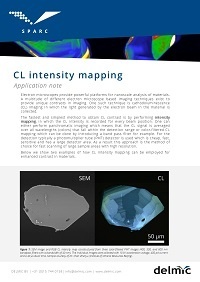 CL imaging can be used to quantitatively map the quartz composition of a sandstone which allows rigorous segmentation of granular and cemented material for example. 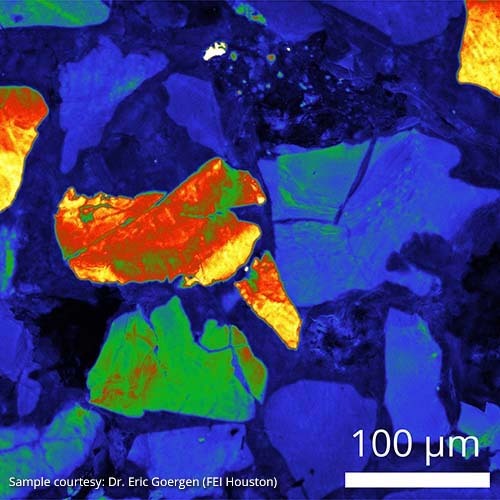 By combining such results with in-depth analysis of the observed textures such as (healed) fractures and grain contacts, the geological history as well as the porosity of the rock can be studied in great detail. 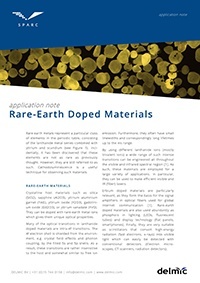 Therefore, cathodoluminescence presents a valuable technique for fundamental sedimentary, metamorphic, and igneous rock studies but also for more applied studies on ores, precious gems, reservoir rocks, and construction materials. 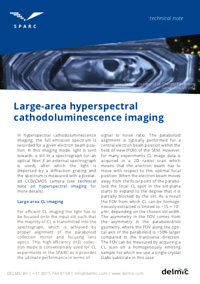 The SPARC is a cathodoluminescence detector that is designed and produced by Delmic. 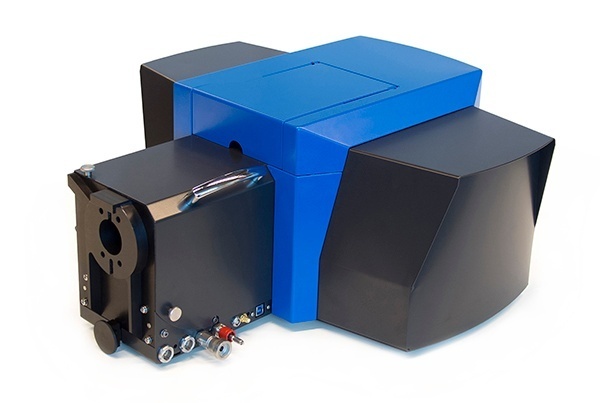 This system is an ideal solution for researchers in geology since it can be retrofitted to any scanning electron system (SEM) to produce high-performance cathodoluminescence images.